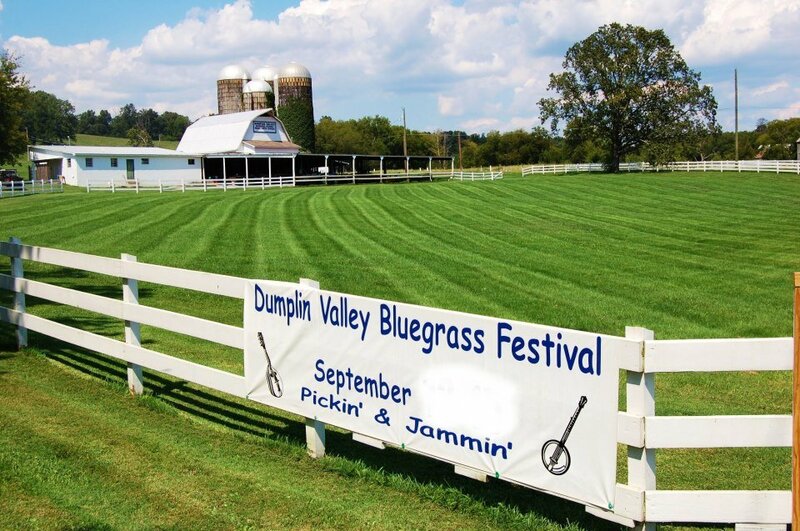 Tennessee’s best kept secret may be the annual 3-day, Dumplin Valley Bluegrass Festival happening this weekend at Dumplin Farm, an easy 25-mile drive north of Gatlinburg on the edge of town in Kodak. The festival features more than a dozen highly acclaimed, top performers this Thursday through Saturday, September 18-20, 2014. All the performers are outstanding at this magic music festival, and the headliners for each night’s final performance are the “Most Awarded Band in Bluegrass Music” Rhonda Vincent & The Rage (Friday), Lonesome River Band (Saturday) and Cordle, Jackson & Salley (Thursday). None of these performers should be missed! This is an incredibly high-talent event where the music fills the air seemingly all the time for three days, with a vibrant mix of traditional and modern music that includes some rocking country but pays deep homage to bluegrass. More than 3,000 people are expected to attend the festival, including guests in campers and trailers who have already completely booked Dumplin Farm’s 170 comfortable RV sites, along with some tent camping, all forming into a super friendly, bluegrass village for the occasion. 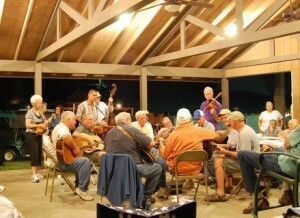 People come from all over the world to attend the festival, now in its 15th year, and the draw is bluegrass – a unique sound whose haunting music has sunk its hooks into many a non-American soul. And this is where you’ll hear it being made from the ground up. Many of the campers have come with their instruments, eager to join in the frequent jam sessions that break out, often ringing out to the surrounding hills until late into the night. Indeed, here days before the festival’s start on Thursday, the jamming has already begun. The Dumplin Valley Bluegrass Festival is the kind of event where guests reserve camp spaces and tickets far in advance, planning their trips to the Smokies to return year after year, heading for this event that feels like a family reunion, enlarged to include famous bands. The festival is extremely kid-friendly for all ages, with plenty of food – including good home cooking and the legendary Dale’s Fried Pies – covered venue seating in the converted dairy barn, clean restrooms, a spacious performance lawn to play on, and no alcohol for sale. Children 12 and under enjoy free admission to the festival, while grownups without advance tickets can just show up on any or every day and pay $30 per day at the gate. The Festival times follow a Noon until 11 pm format, with shows every hour, a supper break around 5pm, and the headline show starting at 9:30 or 10 pm – check the Festival Schedule for details. 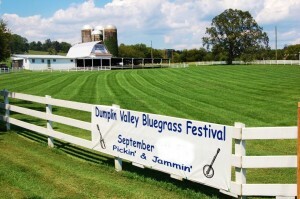 Check the Dumplin Valley Bluegrass Festival Facebook page for pics and videos from the event, directions and full details.